Can Labor Ever Win Again? Despite high hopes on Election Day, the Labor Party—running as the Zionist Union—once again failed to win. A return to power is possible, but only if they address the mistakes of the past. The morning after was far worse than the night before. 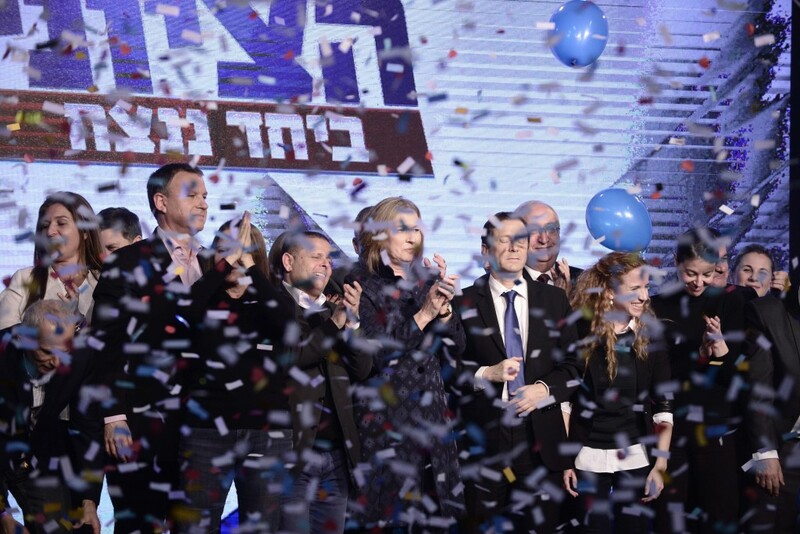 When the results were announced on Israel’s election night, I found myself in Tel Aviv at the official party held by the center-Left Zionist Union, headed by Labor leader Isaac “Buji” Herzog and former Kadima leader Tzipi Livni. Even at 10:00 PM, the ratio of journalists to activists and party members was probably about 1:1. MKs Stav Shaffir, most famous for her role in the 2011 social-welfare protest movement, and Merav Michaeli, a journalist and longtime activist for women’s and minority rights, were doing the rounds with the broadcast media perched on platforms at the back of the hall. Crowded at the front of the cavernous Arik Einstein Sports Arena were young cadres, clad in blue and white shirts adorned with Herzog’s stern but hopeful visage, waving flags aloft. To Israelis watching at home, the room thus appeared deceptively full of celebration. But in moments it went from the lively anticipation of victory to a buzzing of bewilderment. In quick succession, Channels 1, 2, and 10 announced that Benjamin Netanyahu’s Likud had somehow managed to come from behind and pull even with the Zionist Union at 27 seats apiece. Everyone’s stomachs sank down to their shoes. If exit polls were to be believed, after weeks of campaigning, faced with the choice of “either us or him,” the people had chosen both—leaving open either the unpalatable possibility of a unity government with the Likud, including a rotation of the prime minister position, or an unthinkable narrow Right-wing coalition that would leave the Zionist Union out. 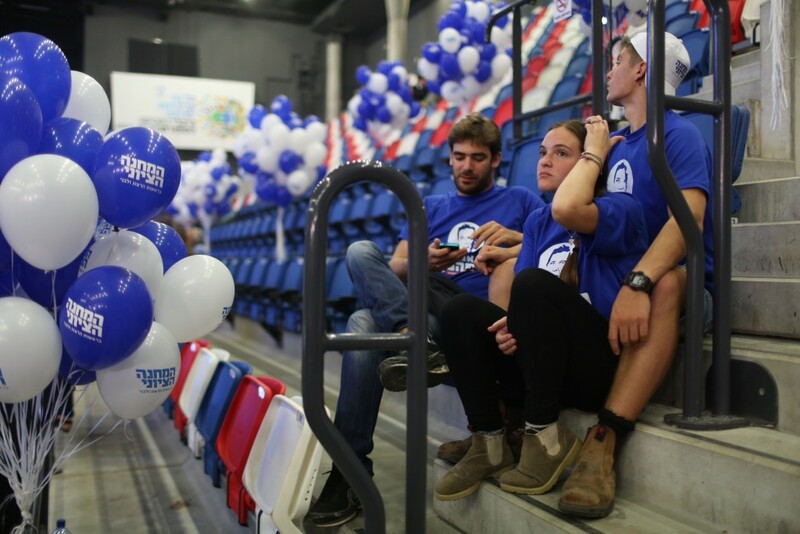 Accepting this as the election result, I left the Zionist Union’s event at 10:30 PM, with their official song ringing in my ears, and crossed the fairground of the Tel Aviv Convention Center to where the Likud were having their jamboree. Jubilant activists were pouring in. I caught the bus back to Rabin Square. That night, Buji and Tzipi went to bed with Bibi, only for him to rudely tell them at four in the morning to get their things and get out of Balfour Street before Sara got home. For Israel awoke to find out the exit polls were wrong too. 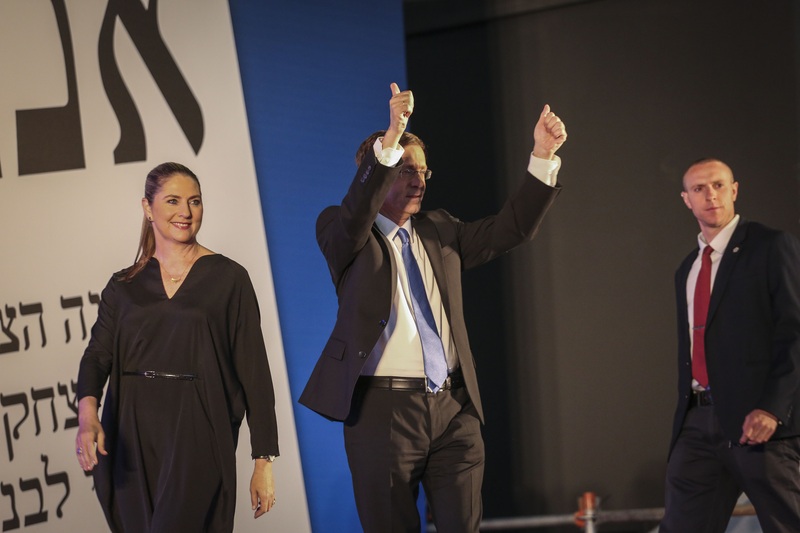 Far from being a tie, Netanyahu had in fact won a decisive victory over Herzog and Livni. Easy notions of a national unity and rotation agreement were off the table. From a sturdy base of 30 seats, Netanyahu could cobble together a narrow Right-wing coalition. The Left was dealt a weak hand, despite all the hope for change, and found itself out in the cold. Again. News of the Zionist Union’s defeat spread through Tel Aviv like a death in the family. People were walking around the city like they’d been drugged. As if waiting for a voice from heaven, the people of Tel Aviv asked how in the midst of a series of crises over housing, the cost of living, the two million “transparent” people, security in the south, terrorism in Jerusalem, and the Iranian nuclear threat—about all of which the government has done next to nothing—how could they just vote for Bibi? How could the Left have lost again? When will the Left ever win another election? The Israeli Left, in the guise of the Labor Party, has not formed a government since 1999, nor won an election decisively since 1992, when Yitzhak Rabin led the party to 34.7 percent of the vote and 44 seats in the Knesset. From that date on until the elections of 2009, Labor’s share of the national vote fell around 25 points to a low of 9.93 percent (and 13 seats) under the leadership of Ehud Barak. The good news for the Left is that 2009 was their nadir, and that since then they have been rebuilding, first under Shelly Yachimovich, and then Herzog, achieving an 18.67 percent share of the vote (and 24 seats) as the Zionist Union this past January. Nevertheless, in the end Herzog was not close to victory. To get to the root of Labor’s decline, it is important to look at the election of 1999 and its aftermath, when Barak beat Netanyahu in a direct prime ministerial election and the mainstream Left (then called One Israel) won the legislative election, albeit with only 26 seats as a base upon which to mold a government. Unfortunately, Barak’s tumultuous period as Prime Minister is forever associated with three major events: the untidy unilateral withdrawal from south Lebanon; the failed negotiations for a two-state solution at Camp David and Taba; and the outbreak of the Second Intifada. It doesn’t matter that the failure of the peace talks was a lot more the fault of Yasser Arafat than Ehud Barak. The fact remains that during his chaotic administration, the Left became associated with unstable government and, more importantly, the resurgence of violence. When Barak’s premiership was brought to a close in February 2001, in a race that saw Ariel Sharon hammer him by a majority of almost 2:1, it was also the end of the rule of the Left in Israel until the present day. While Labor has been a partner to Centrist and Right-leaning administrations since 2001, including Sharon’s, it has never been the ruling party. It is vital to stress, however, that the decline of Labor has not correlated with a significant rise of the Right. Correspondingly, votes for the Right have not kept the Left out of office. To take Netanyahu’s last three election victories in isolation—in 2009, 2013, and 2015—the Likud’s share of the vote has essentially stagnated: 21.61 percent, 23.34 percent, 23.40 percent. Indeed, his most recent triumph largely came at the expense of Jewish Home and Yisrael Beiteinu, the other parties within the so-called national camp. The Left cannot blame the Right, then, for its own failings. If it’s not the Right and not the Left, then in order to find the problem one must look at the growth of Centrist and alternative parties. 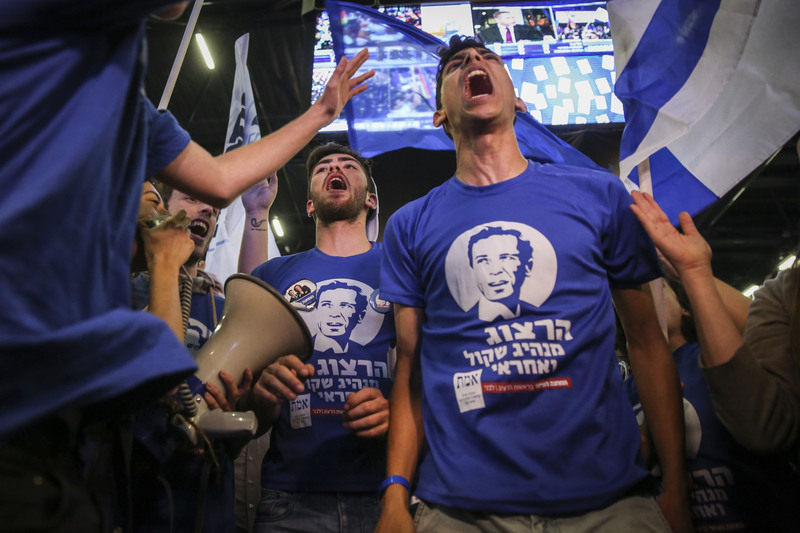 Ever since 1977 and the birth of the Democratic Movement for Change, or Dash—incidentally, the other notable time Israelis experienced a loss of trust in the Left—Centrist parties have been part of the political scene in Israel. Even before the Barak government, there were parties like The Third Way, the Center Party, and to some extent Yisrael BaAliyah all staking out ideological positions in the center ground separate from Labor and the Likud. But it is evident that after 2001, Centrist parties became a major disruptive force in Israeli politics, stealing votes that ten years prior would rightfully have belonged to Labor. It began with Shinui, the anti-clerical faction led by Tommy Lapid, which came third in 2003 with 12.28 percent of the vote. Shinui died and was superseded by Kadima, which gained around 22 percent of the vote in 2006 and 2009. The demise of Kadima led to a vacuum filled by Yesh Atid in 2013, with party leader Yair Lapid getting 14.33 percent of the vote vowing to represent the interests of middle class Israelis. Yesh Atid is already running out of steam, having lost half of its seats, and will die soon enough and not a moment too soon. In 2015, it was partly replaced by Moshe Kahlon’s Kulanu faction. There is a section of the Israeli public, then—a sizeable one at that, since it constitutes between 12-15 percent of voters—who since the Second Intifada would rather vote for whatever Centrist flavor-of-the-month politician rides in on his white horse promising to find the money and bring down the price of cottage cheese than pick up the little piece of paper that reads “Emet” and vote for the Labor Party. If Labor is to win again, it has to start by trying to win those people back, before it can even think about how it is going to get back the lower-middle class Sephardim it lost to the Likud a generation or so ago, and the Russians lost to ultra-nationalism after the fall of the Soviet Union. At the next election, Labor has to be the next great hope. And that starts by offering a plausible alternative to, rather than joining together with, a government led by Benjamin Netanyahu. Shimon Peres is closest associated with the idea that, whatever the circumstances, it is better to take Labor into government than for it to be outside it. Better to sit in a government led by the Likud, and try and moderate it, than heckle and hiss from the opposition benches. Better to attempt to obtain a few ministerial portfolios here and there and pass some legislation and change departmental rules and regulations than propose motions that ultimately die when the government blocks them. A fat lot of good that’s done Labor since 2001. Under various leaders, Labor has formed part of governments led by Sharon, Ehud Olmert, and Netanyahu. During that same period, their share of the vote only declined and the rise and fall of Centrist parties became less of a phenomenon of more of an entrenched trend. As Labor first saw when Binyamin Ben-Eliezer was Defense Minister in Sharon’s unity government during Operation Defensive Shield, it is difficult to formulate an alternative policy position while propping up the government you’re bemoaning. 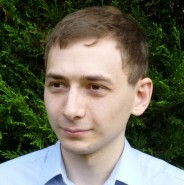 The detrimental impact of coalition government on smaller parties is far from an Israeli matter—just look what happened to the Liberal Democrats in the United Kingdom or the Free Democratic Party in Germany in recent years. Nor, incidentally, is it something only Labor has suffered from. That the birth and death of Centrist parties has become a cycle is precisely because of their cannibalization by larger factions in government. Shinui lost all credibility as a secular faction after, among other things, acquiescing to Sharon’s inclusion of the ultra-Orthodox in coalition. Netanyahu ate and then spat out the remains of Kadima in a few short months in 2012 by bringing them into a unity government. He also managed to neuter Yair Lapid—although one could argue that Lapid did a great deal to, if you’ll excuse me, neuter himself. All of this is to say that, given the decline of Labor during the 2000s, the fate of minor partners in coalition governments—particularly ones led by parties ideologically opposed to you—is something the party ought to have been more aware of. Indeed, by taking Labor in coalition in 2009 and serving as the fig leaf in Netanyahu’s government, Barak almost destroyed the party for a second time, on this occasion cleaving it in twain between the original Labor Party—which broke off and left the government—and his pro-coalition Independence faction. Following the split, Labor remained in the Knesset as a husk with only eight seats, led by Yachimovich. Barak left politics by the time the next elections rolled around. Labor’s turnaround electorally coincides with them taking the decision to ignore Peres’ mantra and start taking a stand as a real opposition faction and alternative to Likud’s hegemony. As flawed a leader as Yachimovich was on the diplomatic issue, her clear stances on socioeconomic matters and resoluteness on the question of serving in a Netanyahu-led government marked the beginning of Labor’s recovery. Herzog built on Yachimovich’s leadership to the extent that for the first time in many years, Labor had a leader who was seen by enough of the general public as a credible and viable prime ministerial candidate (although not quite enough). They had a leader, in other words, to match the rhetoric. During coalition negotiations, after Yisrael Beiteinu leader and outgoing Foreign Minister Avigdor Liberman announced his intention to go into opposition, Netanyahu elected to keep the Foreign Ministry for himself. It remains a carrot, a prize for whoever desires it: Liberman, Lapid, or Herzog. Contemporary Israeli history, however, shows that Herzog in particular would be unwise to grab it. While his presence in government might, depending on many factors, help shape state policy, to take Labor into this government would be to undermine the perception they have been attempting to build in the minds of the Israeli public over the last two elections: that Labor can form a government and not just be a partner to one. But just as important as its decision concerning a unity government is Labor’s unity within itself. Part of Labor’s credibility problem is that it has spent its period in the wilderness fighting an internal struggle to no end and no avail. Since Barak’s defeat in 2001, Labor has been led by Binyamin Ben-Eliezer, Amram Mitzna, Amir Peretz, Ehud Barak (again), Michael Harish, Shelly Yachimovich, and Isaac Herzog. During that same period, the Likud has been led by Ariel Sharon, and then when he left to form Kadima, Benjamin Netanyahu. Out of an unstable government and subsequent electoral defeat, Labor entered into a period of internal strife, one that with the election of Herzog appears to have come to an end. During the election campaign, the Yachimovich wing of the Labor Party did not speak out in any meaningful way against his decision to form a joint list with Tzipi Livni and her Hatnua faction. While factionalism, division, and disputation are somewhat in the nature of Left-wing politics, as best they can Labor must seek to retain this unity. Unity will entail three things. First, Labor must resolve as quickly as possible the status of the union with Hatnua, whether the two-party/joint-leadership model will be retained as it is, or if Hatnua will officially merge into Labor, with Tzipi Livni going into a lesser role or retirement. 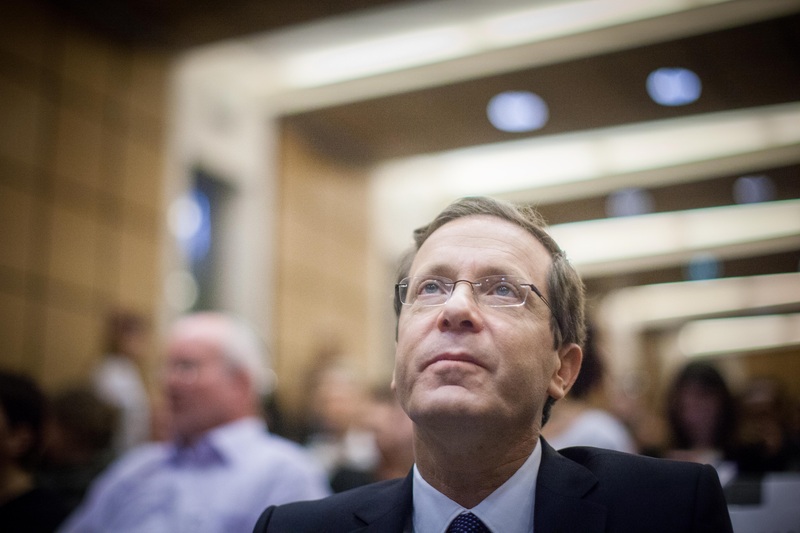 Second, Herzog must be re-elected to another term as party chairman, allowing him to lead Labor through the life of this Knesset and into the next election. Third, Yachimovich must maintain her composure, serve the leadership of the party, and cease any loose talk of cooperation with the government against Herzog’s wishes. On the substance of the party’s platform, image, and place within the Israeli-Zionist spectrum of ideas, the curious thing for the Labor Party is that its share of the vote has depleted even though the general public still agrees with its ideas. 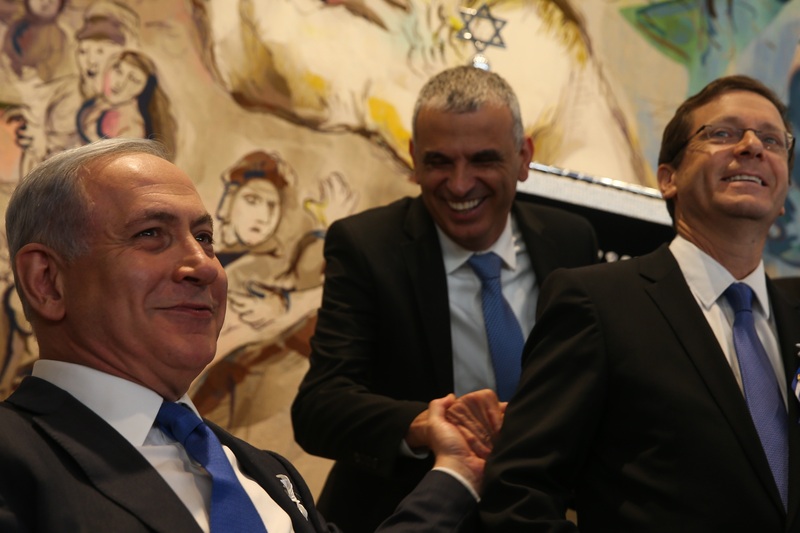 Try as he might, Netanyahu remains just about the only neoliberal in the State of Israel. Those who vote for Centrist and Right-wing factions still largely believe in socialistic economic ideas, which include bridging the divide between rich and poor and giving government assistance to the most vulnerable groups in society. The challenge, then, is to unite those who believe in Left-of-Center economic policy under the umbrella of the Labor Party, and in order to do this, the party must recognize what its crux is: not economics, but security. It is not necessarily the case, as Netanyahu would like us to believe, that the Right has a monopoly on what security means. Fifteen years on from the outbreak of the Second Intifada, Labor’s pledges to guarantee the security of Israel internally and externally—whether in the north, south, or Jerusalem—need not lack meaning and substance to Centrist voters. Addressing this does not mean that Labor has to cease being a party that favors negotiation with the Palestinians or an eventual two-state solution. To give that up would be suicidal—the Labor Party would cease to be Left-wing or have a reason to exist. In any case, a majority of the public—even if they don’t quite know how to get there or agree on what a two-state solution means—still thinks dividing the land is the best (or least worst) of all the options. What the Labor Party has to do is find a way to present an image to the public that they get security, while making the case that there is a connection between the status quo, the situation with the Palestinians, and Israel’s long-term stability. Herzog alone cannot do this. The attempts during the last election campaign to make him look tough and highlight his service in the intelligence unit were, frankly, ridiculous. He needs assistance, and in this regard, Labor must find a way to recruit top security figures into its ranks again and place them at the top of the ticket. It would have been natural, a generation ago, for people like former Shin Bet chief Yaakov Peri and IDF Maj. Gen. Yoav Galant to join Labor and run with them—now they are running with the Center. Former Mossad director Meir Dagan appeared at an anti-Netanyahu rally prior to the election, and yet seemingly has no desire to run with the Labor Party. Neither does former Shin Bet director Yuval Diskin. Maj. Gen. Amos Yadlin was the Zionist Union’s nominee for Defense Minister but would not run to be in the Knesset itself. The Israeli Left needs these people in the Labor Party. Labor’s problem, not just in terms of recruiting security figures but other celebrity candidates as well, can best be explained this way: Imagine you are Yaakov Peri and you wish to run for Knesset. You could choose to run in the Labor primaries, but this would involve weeks and months of campaigning, fundraising, cultivating relationships with party apparatchiki, working the cities of Gush Dan, going out into the periphery, touring kibbutzim and moshavim, with absolutely no guarantee of a decent spot at the end of it all. On the other hand, you could accept Yair Lapid’s offer of a top-ten place on his list. There are strictures that come with this—namely, accepting his dictatorial rule and your subjugated status—but your seat in the legislature, and perhaps even a cabinet post, is as near as guaranteed. Labor’s primary system makes it the most democratic party in Israel, but the emergence of Centrist factions where the list is determined entirely by the head of the party makes it a deterrent for high-profile candidates, especially security figures. Labor should consider some sort of reform to its primary system to adjust to this new reality. It can either demand all candidates enter the primaries, but reserve one or two spots in its top ten for defense figures (just as a space is reserved on Meretz’s list for a representative from the kibbutzim), or it can establish reserved spots specifically for former generals and security officials to be appointed at the discretion of the party chairman. Without such a change, it is unlikely that figures like Peri or Galant would ever feel the need to run with Labor. These are just the fundamentals. There is a lot more that the Labor Party has to do to win again—including broadening the base of the party, bringing in more members from the periphery and from Jerusalem, from the Mizrahi, Ethiopian, and Russian communities, in order to guarantee better representation of these marginalized groups on a party list that is currently dominated at the top by Ashkenazim. But that is something for the longer term, a generation’s work, and the practicalities of such an effort are something to be discussed another time. For now, the Labor Party can do three things to keep the process of reconstruction going, and bring to an end these everything-and-nothing Centrist parties eating away at their rightful share of the vote. One, it must say no to a national unity government with Benjamin Netanyahu and rebuild as the main opposition voice in Israel. Two, it must say yes to internal party unity and re-elect Herzog as party chairman the next time such a possibility arises. Three, it must address head-on the underlying fear that a vote for Labor means a vote for insecurity by reforming its internal structures so as to bring more top defense figures into the party ranks and place them high up the list. In doing so, it must conceive of a clear way of being at once the party of peace and the party of security. The work begins here, and it must begin now, lest the party find itself in two or three or four years’ time back at the Arik Einstein Sports Arena, emptily cheering for the camera all the while wondering how the Left could have lost again.